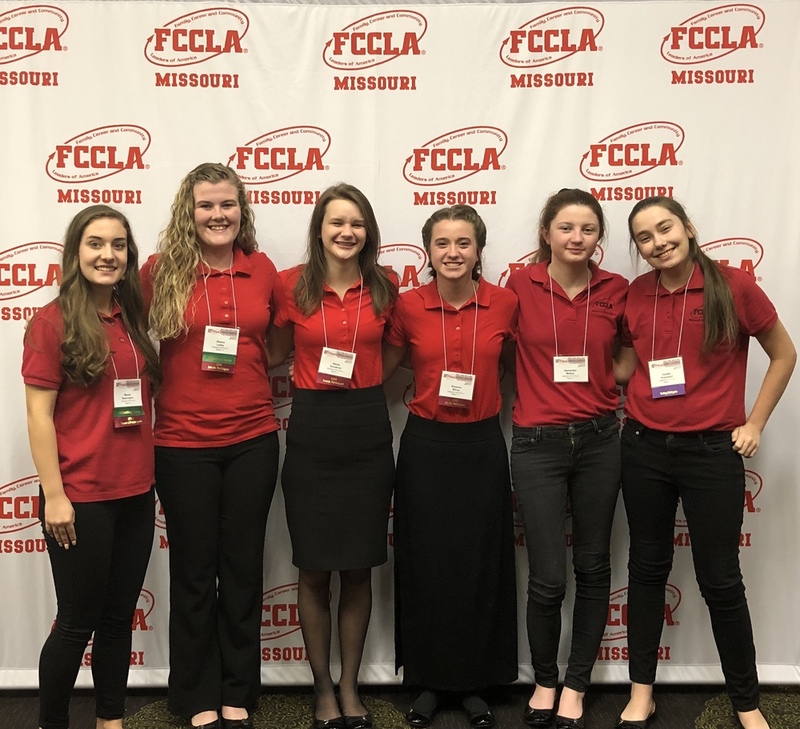 Six FCCLA Members attended the annual Missouri FCCLA State Leadership Conference at Tan-Tar-A Resort, Osage Beach. In addition to the leadership workshops, more than 630 students participated in 30 competitive events. Alexus Lakey and Macey Sappington competed in the National Programs in Action event. Alexis Goodman and Breanna Wince competed in Chapter Service Portfolio event. Both teams received a Gold rating, Alexis and Breanna earned top winner in their event. Both teams are advancing to Nationals in Anaheim, California this summer.